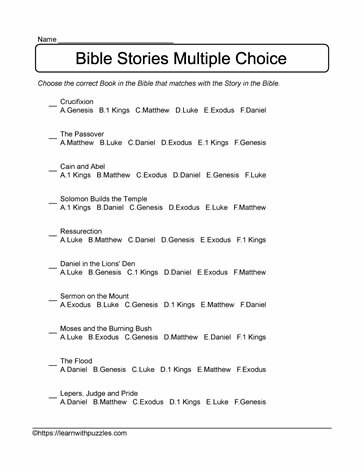 Test your knowledge of Bible Stories with the multiple choice puzzle. Downloadable and printable, it's suitable for students learning about childrens bible stories and the books in the bible associated with each of the stories. Suitable for students who are homeschooled as well as for classroom use.